The American Orthodox Institute is a research and educational organization that engages the cultural issues of the day within the Orthodox Christian moral tradition. AOI is the creation of Fr. 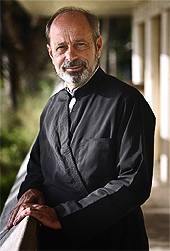 Johannes L. Jacobse, Orthodox priest, cultural critic and independent scholar. Fr. Hans Jacobse is the creator of the award winning site, Orthodoxytoday.org, which is one of the top 1000 Christian websites on the internet.